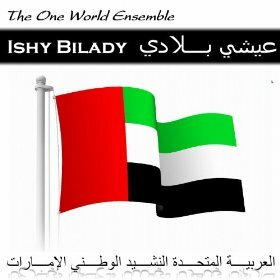 Twofour54 in partnership with Abu Dhabi Media (ADM) and The Tourism and Culture Authority (TCA) presents ‘Ishy Bilady’ – A film for National Day. The film which is rich in contemporary symbolism tells the story of the UAE and its people. It will be aired for the first time on Abu Dhabi Media Channels on 25 November 2013. twofour54’s creative lab talent has led an Emirati team in producing the film under the creative direction of Ali F Mostafa. ‘Ishy Bilady’ – A film for National Day, #Longlivemynation, is edited in time with rousing new music composed for the Emirati national anthem. The two and a half minute film features iconic moments in the lives of the Emirati people, its leaders and those living and working in the UAE. Human themes are embraced: the warmth of Emirati hospitality; the life of a new baby; the pride of the national football team; and the Emirati tradition of diving for pearls. Shots of scientists, the military and the nations’ university students depict the UAE as it is now and hint at how it will continue to thrive in the future. The new music for the national anthem, #Longlivemynation, is being composed under the guidance of Taha Al Ajami of Abu Dhabi-based Pure Sound Studios. Vocals will be led by Emirati singers including Balqees, Mansour Zayed, Faisal Jassem, Arwa Ahmed and creative lab community member Rashid Al Nuaimi. Ali F Mostafa’s production company AFM Films, producer of the award winning ‘City of Life’, has given six creative lab community members the opportunity to work on the production. twofour54’s creative lab, is an initiative to support the talent needed for the sustainable growth of the region’s media industry. The six creative lab community members’ roles have ranged from camera work to art direction and they have been mentored by Ali and his team. Two Emirati interns Alyazia Al Qubaisi and Shrooq Belal Khaleel from Zayed University have designed the logo and brand identity for the project. via ‘Ishy Bilady’: A film for National Day.